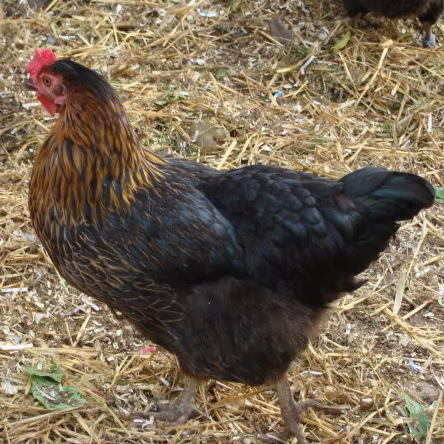 Hybrid hens are the commercial cross breeds which were selected mainly during the 1950's. They were needed to reliably lay 300+ eggs a year and vastly increase production over the pure breeds. They were also bred for meat. Expect 250 - 300 eggs per year for 3 - 4 years. They have no conservation value as they are the result of cross breeding. Overall hybrids are cheaper to buy than pure breeds and will give you more eggs in the short term but will not lay for as long as their pure breed cousins. They rarely go broody, which is a good thing if you dont want to hatch your own chicks as whilst they are broody they dont lay any eggs! They are an inexpensive way to start keeping chickens and are reliable egg layers in their early years. They are available in a range of different types and colours. The different varieties can still lay a whole range of pretty coloured eggs just like their pure breed cousins, for example the white star is a bright white hen, who lays large snowy white eggs. We started off with 6 hybrid hens ourselves! Use the guide below to see approximately how many eggs your hen will lay in its first year. Based on the Rhode Island Red, this bird is an excellent and reliable layer. A friendly and inquisitive bird, who generally enjoys being handled - great with children. The perfect choice for the garden with the traditional good looks of the chestnut coloured farmyard hen. 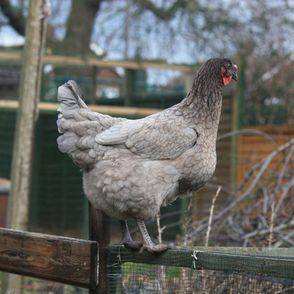 This is a strain of the traditional British Light Sussex, she is a large bird with a happy temperament who is easy to handle. Very content in the garden or the free-range environment. 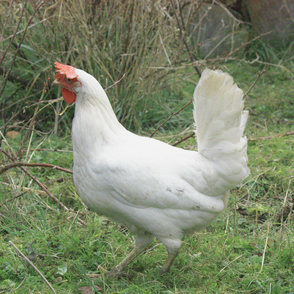 This attractive hen is based on the Cukoo Maran. A large bird with a pretty grey and white speckled plumage. This little bird is bred from utility strains of the white leghorn. Maybe because of her size, she is slightly nervous and a little flighty but has a strong personality. Despite her size, she is an excellent layer of large pure white eggs. She is a fantastic choice due to her high yield of egg laying. This bird is bred from strains of the Cream Legbar. She is very popular as there is an 85% chance she will lay blue/green eggs like her pure breed cousin and a 15% chance of them being a creamy colour. She is happy foraging and loves the free-range environment. Based on the Rhode Island Red crossed with the Barred Plymouth Rock, this bird is an excellent choice to be kept free range as they love to be outside in all weather. Based on the Rhode Island Red and the Maran, Bluebells are an exceptionally pretty bird with its blue/grey plumage. This large bird is very good-natured and friendly. 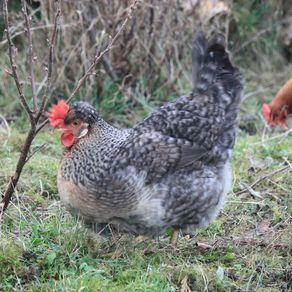 A very popular hen which always sells fast. 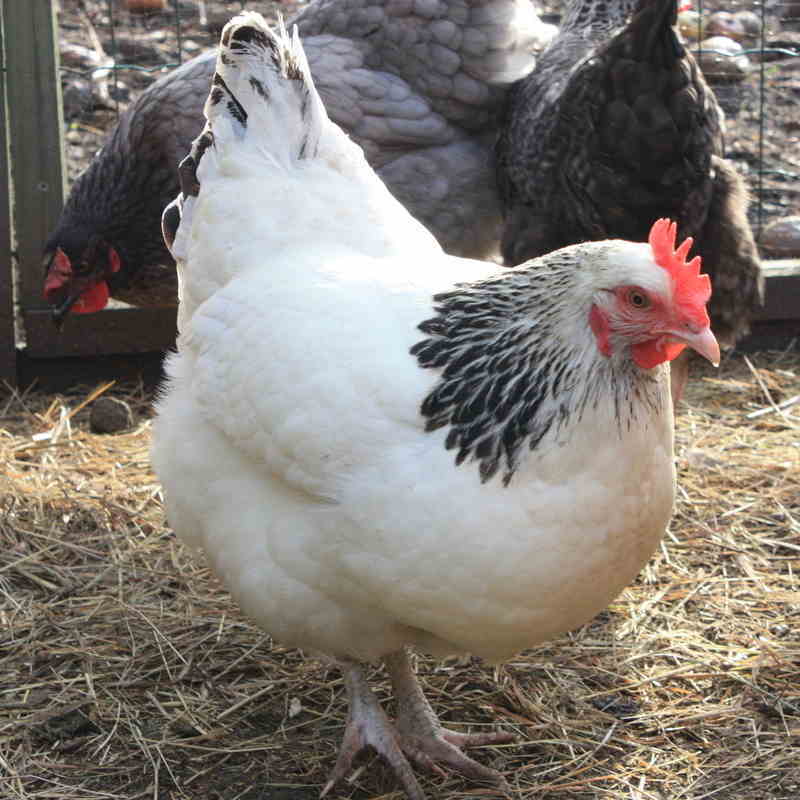 The beautiful Brown Leghorn is an impressive layer of 320+ white shelled eggs in her first year. With her lovely brown feathers and golden collar she is a very attractive bird. 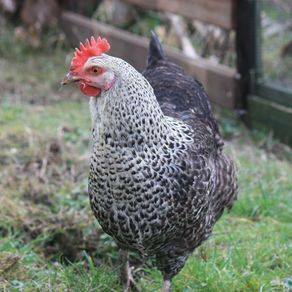 She is a cousin of the White Star so isnt the most affectionate of hens but tends to be calmer in nature. The Speckled Humbug is a hybrid version of the german-style Maran. With her barred pattern and dark grey feathers she is a very striking bird. Generally friendly and docile she will lay approximatley 280 mid to dark brown eggs in her first year. A beautiful rich chestnut coloured hen with glossy feathers and a striking black dash in the tail. This bird is an excellent and reliable layer. 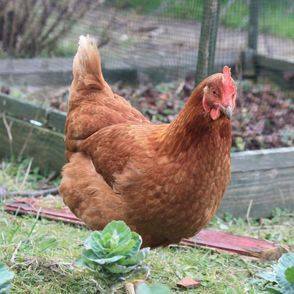 She has the looks of a traditional Rhode Island Red and is very calm and placid - ideal for the garden.